Ireland overcame a stern resistance from Argentina as they went on to complete a 28-17 victory at Aviva Stadium on Saturday. Joe Schmidt's side were the favourites heading into the game but they were penalised early in the game at the breakdown and Nicolas Sanchez kicked a penalty goal in the third minute to get Argentina off the mark. Ireland responded back when Kieran Marmion crossed over in the 9th minute but a penalty goal from Sanchez in the 12th minute followed by Bautista Delguy's touchdown in the 17th minute meant, the visitors still had a six point lead at the end of the first quarter. The home side continued to build the pressure before they managed to get their second try through Bundee Aki in the 25th minute. A conversion from Johnny Sexton put Ireland into a one-point lead. The final five minutes of the first half saw both Sanchez and Sexton trade penalties as Ireland headed into the break with a 15-14 scoreline. The Pumas were quick to get off the block with a penalty goal from Sanchez in the early minutes before it was cancelled out by Sexton's three-pointer in the 58th minute as Ireland maintained their one-point lead with the final quarter kicking off. Ireland began to take control as Argentina's line out became a problem as Luke McGrath crossed over in the 66th minute from a resulting scrum and Sexton with his conversion and a penalty goal in the 67th and 76th minutes respectively ensured a 28-17 win for the Six Nations champions. 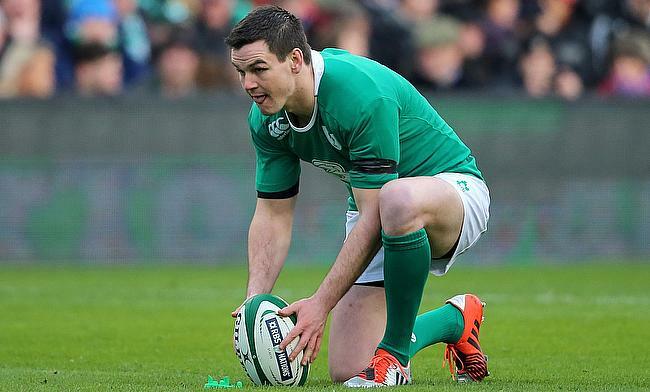 Ireland will next face the All Blacks at Aviva Stadium while Argentina will lock horns with France next weekend.